Cleaner fuels could reduce the mortality rate by 55 per cent, report says. 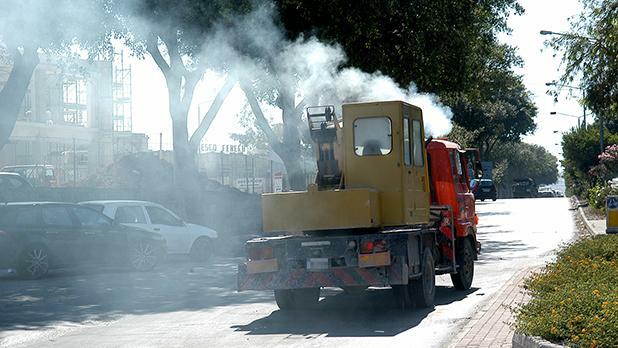 Early deaths due to air quality in Malta are more than twice as high as previously thought, with 576 people dying prematurely every year of diseases brought on by airborne pollutants, a new study shows. Research published in the European Heart Journal used new data on the health impacts of air pollution to estimate that about 800,000 people a year across the EU die early and that the average person loses two years of life. Malta’s figures – which compare to previous estimates of between 250 and 270 early deaths for the same period – are slightly worse than the EU average. Compared to the population, Malta experiences 137 early deaths per 100,000 people, when the EU average stands at 129 per 100,000. The corresponding figures were 98 in the UK and 154 in Germany, while some eastern European countries had more than 200 deaths per 100,000. Most deaths were caused by heart disease, followed by respiratory tract illnesses, pulmonary disease, lung cancer and others. “To put things into perspective, this means that air pollution causes more extra deaths a year than tobacco smoking,” Thomas Münzel, who led the study at the University Medical Centre Mainz, in Germany, said. Researchers made their estimates using a new simulation model that combined data on air pollution exposure, population density and age as well as the health impacts of dirty air. The dramatically higher estimates are due to previously-unavailable data on the effects of very high levels of fine particulate matter (PM2.5), which earlier research had tried to make up for by using data from second-hand smoking studies. The new model used an expanded database taking into account 41 studies from 16 countries, including new data from China, where pollution levels are higher than in Europe and North America. The authors acknowledged a degree of uncertainty to their estimates, which, when taken into account, provide a range of between 473 and 677 early deaths per year in Malta. “Improving European air quality is an achievable, highly effective and, therefore, imperative health promotion intervention,” the authors added. “By replacing fossil energy sources with clean, renewable fuels, the attributable mortality rate in Europe could be reduced by 55 per cent.